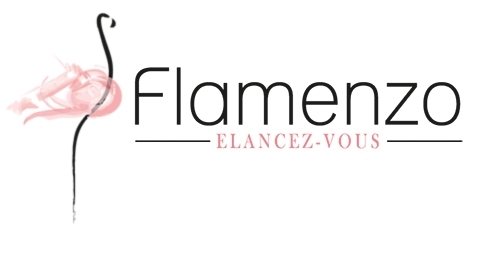 This website is edited by www.flamenzo.com the FLAMENZO company, SARL with a capital of 8,000 euros, whose headquarters is situated at Center d’Affairs Saint Charles, 17 boulevard Champfleury, 84000 AVIGNON, FRANCE. Company registered in the Registre du Commerce des Sociétés d’Avignon under number 800 375 180 00026, whose intra-community VAT number is FR 65 800 375 180 and EPA code / NA is 4791B. Address: FLAMENZO, Centre d’Affaires Saint Charles, 17 boulevard Champfleury, 84000 AVIGNON, FRANCE. These general conditions are concluded between, on the one hand, the FLAMENZO company, Sarl with capital of 8,000 euros registered with the RCS Avignon under number B 800 375 180 and headquartered in Centre d’Affaires Saint Charles, 17 boulevard Champfleury , 84000 Avignon, , FRANCE hereinafter referred to as "FLAMENZO" and, secondly, those wishing to make a purchase via the website FLAMENZO http://www.flamenzo.com ( "the Site"), e-commerce site , hereinafter called "the Purchaser". The site is owned by FLAMENZO in its entirety, and all rights pertaining thereto. Reproduction in whole or part, is always subject to the authorization of the owners. However, hypertext links to the site are permitted without specific requests but FLAMENZO disclaims any responsibility if the content of these sites violate laws and regulations. The buyer acknowledges having read, at the time of ordering, special conditions of sale stated on this screen and expressly accepts them without reservation. These general conditions of sale govern the contractual relationship between FLAMENZO and client, both parties accepting them without reservation. These conditions shall prevail over all other conditions contained in any other document, unless prior express written consent is given. FLAMENZO reserves the right to modify at any time the General Conditions. They will be applicable as they appear online. FLAMENZO disclaims any responsibility for the consequences of a malicious act caused by a third party leading to a modification of site content. Products are offered subject to availability. Failing availability of a product, FLAMENZO agrees to promptly notify the Buyer by email. The essential characteristics of products are described and presented with the greatest possible accuracy. To place an order, you need to login with your email address or your customer identification number and password. To order, you must first create an account. The automatic registration systems are considered as proof of the nature, content and date of the order. FLAMENZO confirms the acceptance of its purchase order via the email address provided to it. The sale will be concluded only after the confirmation of the order and confirmation of payment by the bank concerned. FLAMENZO reserves the right to cancel any order from a customer with whom there is a dispute over payment of a previous order. In some cases, such as an incorrect address or other problem with your account, FLAMENZO reserves the right to block your order until the problem is resolved. The information given by the Buyer during ordering, commit to the following: if there is any error in the address provided by the recipient, the seller can not be held responsible for any failure which could occur in delivery the product. Any order implies acceptance of the conditions of sale, prices and descriptions of products available for sale. 3.2. Payment accepted: The order has been set online (via credit/debit card or Paypal). It is validated and will be shipped by our logistics center. 3.3. Processing: The order has been set, the payment has been accepted. However, if some products in the same order are not available, the status "Processing" indicates that the order will be shipped as of the date of availability of the missing product. To avoid additional shipping charges and if the Purchaser wishes to receive the package without waiting for the availability of product on hold, he must make this known via: contact@flamenzo.com. A credit note of the equivalent amount of the unavailable product will be made and the package shipped. 3.4. Validated order: All of the ordered products are now available. The order has been confirmed and will be shipped by the logistics center. 3.5. Shipped: The order has been shipped. The Buyer should receive the order within a few days depending on the delivery method chosen. - Mondial Relay: with shipments to parcel relay points in France (5 € 20), Belgium (5 € 20), Luxembourg (5 € 20) and Spain (9 €). Home delivery in Germany (9 € 50), Belgium (9 € 50), Luxembourg (9 € 50) United States (10 € 20), Spain (10 € 20), Austria (11 € 20), Italy (11 € 20) and Portugal (11 € 20). Participation in shipping & handling costs (packaging, transport, delivery) is added once to the amount of your order and depends on the chosen method of delivery. It can be provided free of charge with some commercial offers. The delivery service will deliver the order to the address provided by the Buyer when ordering with FLAMENZO. In case of absence at the time of delivery, the package is kept in the manner specified of the selected courier. In case of excessive delivery time or loss of products by the courier, the Purchaser may contact FLAMENZO who will begin an investigation. FLAMENZO advises to always check the package upon arrival. The buyer has a period of three (3) working days to make possible claims by registered letter to the courier in case of missing or damaged orders. FLAMENZO can not be held responsible for the deterioration or loss of the package by the provider. Despite the care taken by FLAMENZO in preparing the package, a product may be defective or missing after transportation of the package. The Buyer will therefore systematically check the conformity of products received; any anomaly concerning the delivery (missing or broken items, damaged package) must imperatively be notified within three (3) business days following receipt by registered mail to: Customer Services, FLAMENZO, Centre d’Affaires Saint Charles, 17 boulevard Champfleury, 84000 AVIGNON, FRANCE. After this period, any claim will be rejected and FLAMENZO relieved of all responsibility. FLAMENZO then asks the Buyer to return the defective product and proceed with the exchange or refund of said defective product(s), or the delivery of the missing product. In case of defects, the Buyer has the right of return as provided in these Terms and Conditions. After logging in, the Buyer can access their account by clicking on "My details". It is then possible to change the password. After logging in, enter your account and click on "My details". It is then possible to change delivery address or billing. The price on the website includes all taxes but do not include shipping or delivery. Any change in the applicable tax rates will be reflected in product prices. The price mentioned in the order confirmation is final, including all taxes and VAT for Metropolitan France. This price includes the products, the costs of packaging and transportation costs. The products remain the property of FLAMENZO until full payment is received. The prices can not be changed once the order placed. Similarly, if one or more taxes or contributions, including environmental, were to be created or modified, this change will be reflected in the sale price of the articles present on the website and sales documents prior to validation of the order. Orders can be paid either by credit card or Paypal account. Payment by credit card: The credit card payment is made with the secure payment server Paypal. The transaction amount will be debited within 48 hours from the payment. The credit card number is routed directly to the servers of the bank, payment is made within the secure environment without going through the server of the online shop, which guarantees a secure payment. The order validated by the Purchaser shall be effective upon the payment centers concerned have given their consent. In case of refusal, the order is automatically canceled and the Buyer notified by email. By choosing payment via PayPal, you will be automatically directed to your PayPal account. Once validated by Paypal, you can complete your order on the Website. Your order will be shipped upon receipt of payment. FLAMENZO reserves the right to refuse any order from a Buyer in dispute. Invoices can be printed by going to "My Account", "My orders" and clicking on the reference of the order. Then choose "Invoice to PDF" to print or save. The Buyer has a period of fourteen (14) calendar days from receipt of items to exercise his right of withdrawal without having to give reasons or pay penalties, except, if appropriate, return charges. The Buyer can choose between receiving a credit note (valid for one year), exchanging the item or a full refund. FLAMENZO, Centre d’Affaires Saint Charles, 17 boulevard Champfleury, 84000 AVIGNON, FRANCE. FLAMENZO reserves the right not to refund the return if the product is not intact or clean or as new . Any new purchase made with a credit note will only result in a refund up to the amounts actually paid. In case of exercising the right of withdrawal and if all the above conditions are met, FLAMENZO will reimburse the sums paid by the Purchaser (net of discounts granted), without charge, except for return shipping costs, and within two weeks after receipt of the return package. The reimbursement will be made via the same method as the payment method: Paypal or bank account related to the purchase will be directly re-credited. A credit will be offered; it will be valid for one (1) year on the website of FLAMENZO. In case of difficulties in implementing this contract, the Buyer has the option, before any legal action to seek an amicable solution with the help of a professional association in the industry, a consumer association or other counsel of his choice. It is recalled that the search for an amicable solution does not interrupt the period of the legal guarantee, nor the duration of the contractual guarantee. It is recalled that in general and subject to the discretion of the courts, in respect of the provisions of this contract relating to the contractual guarantee assumes that the buyer will honor his financial commitments to the seller. Claims or disputes will always be received with attentive benevolence and good faith is always presumed for those who took the trouble to explain their situation. In case of any dispute, the Buyer must first contact FLAMENZO for an amicable solution. Otherwise, the court of competent jurisdiction in any case of dispute will be in Avignon. The website complies with French legislation and in no circumstances does FLAMENZO guarantee compliance with local laws that as such may apply, whenever you access the Website from other countries. In all cases, FLAMENZO not be held responsible for non-compliance with regulations and laws in force in the receiving country, the responsibility for FLAMENZO is limited to the value of the product in question, valued at its date of sale and with no possibility of appeal to the brand or company producing the product if necessary. In any event, the Buyer benefits from the legal guarantee of eviction and hidden defects. The information collected for purposes of distance selling is required. This information is essential for processing and delivering orders, preparing invoices. The lack of said informat will result in the cancellation of the order. According to law "Informatique et Libertés " n ° 78-17 of 6 January 1978, the processing of personal information about customers has been declared to the Commission Nationale Informatique et Libertés (CNIL ). Statement No. 1,798,709. The Buyer will ensure to provide contact information (name, address). FLAMENZO could be asked to provide personal information to its business partners. The Buyer may receive commercial offers from third parties unless express refusal is given on his part. The Buyer retains the right to refuse to receive such communication by mail providing his name, address, in accordance with paragraph above. Some pages of the Site may contain electronic images or "web beacons" that allow to count the number of visitors to the page. These web beacons may be used with some of our partners, particularly to measure and improve the effectiveness of certain actions. In any event, the information obtained through these tags is strictly anonymous and simply gathers statistics on traffic to certain pages of the Site, in order to better serve customers of the Site. The online provision of a credit card number and the final validation of order constitutes proof of the said order and will be worth payment of amounts incurred by the seizure of the items on the order. This validation is provided by signature and expresses acceptance of all operations performed on the Website. The records stored in the computer systems of the FLAMENZO company and its partners under reasonable security conditions, will be considered as proof of communications, orders and payments between the parties. The filing of purchase orders and invoices is made on a reliable and sustainable manner to correspond to a faithful and durable copy. FLAMENZO has, for all stages of access to the Website, the order process, delivery or subsequent services, an obligation of means. Thus FLAMENZO undertakes to describe with great accuracy the products sold on the Website. However, the responsibility for FLAMENZO will not be held if the breach of its obligations is due to an unforeseeable event attributable to a third party such as a case of force majeure. Similarly, the responsibility for FLAMENZO will not be engaged for any inconvenience or damage arising from the use of the Internet, including interruption of service, external intrusion or presence of computer viruses or any other incident of force majeure. All elements of the Website, whether visual or audio, including the underlying technology, are protected by copyright, trademarks or patents. They are the exclusive property of FLAMENZO. Similarly, trademarks, logos and designs appearing on the Website are the exclusive property of FLAMENZO. Their disclosure shall in no way be construed as granting any license or right to use any of the trademarks and distinguishing elements protected by copyright. They can therefore be used, subject to prosecution. Thus, no material from the Website may be copied, reproduced, republished, uploaded, posted, transmitted or distributed in any way whatsoever. The Buyer who has a personal Internet site and wishes to place, for personal use, on its website a direct link to the home page of the site, must request permission to FLAMENZO. However, any hypertext link to the Site and using the technique of "framing" or "in line linking" is prohibited. In all cases, any link, even tacitly authorized, must be removed at the request of FLAMENZO. Hyperlinks can refer to other sites than the Site. FLAMENZO disclaims any responsibility if the content of these sites violate laws and regulations. In the event that any provision of this contract is null and void by a change in legislation, regulation or court decision, this does not in any way affect the validity and enforceability of these terms and conditions of sale. These general conditions of sale and the order summary sent to the Buyer form a contract and constitute the entirety of the contractual relations between the Parties. In case of contradiction between these documents, the terms and conditions shall prevail. The General Conditions of FLAMENZO are subject to French law. The website complies with French legislation and in no circumstances shall FLAMENZO guarantee compliance with local laws such as would apply to you, whenever you access the Website from other countries. These conditions apply throughout the posting period of the products offered by FLAMENZO. FLAMENZO will not be liable for the total or partial non-performance of its obligations under this contract, if such non-performance is caused by an event of force majeure. Such events will be considered as force majeure events as matching the criteria established by the case law of the Court of Cassation. In the presence of an event of force majeure, FLAMENZO shall notify the Purchaser within five (5) business days of the occurrence or threat of this event. The Parties agree that they must negotiate as soon as possible to determine all the modalities of execution of the order during the period of force majeure. Beyond a period of one (1) month of interruption due to force majeure, FLAMENZO may not honor the order, with the order to repay the Purchaser where applicable.